German electronic inventors Kraftwerk have announced that they'll finally be reissuing the majority of their classic material as remastered versions. Known as 12345678: The Catalogue, a box set of reissues will drop on October 6 in North American via EMI, coming just as the band celebrates the 35th anniversary of their landmark hit "Autobahn." The albums featured in the box include 1974's Autobahn, 1975's Radio-Activity, 1977's Trans Europe Express, 1978's The Man Machine, 1981's Computer World, 1986's Techno Pop, 1991's The Mix and 2003's Tour De France. 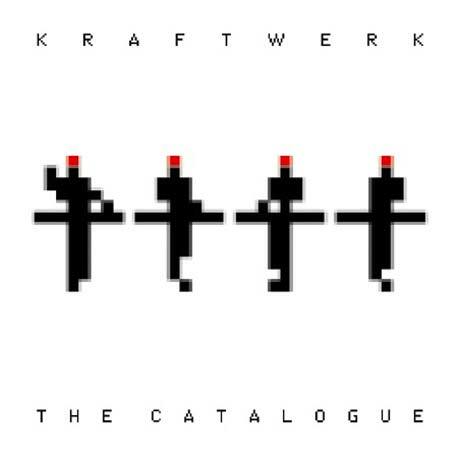 Unfortunately, Kraftwerk's first few records are not included in the box, and all the remastered albums will be out individually expect Computer World, Techno Pop and The Mix (some licensing problems got in the way of that). Best of all, the individual reissues will be available in a variety of formats. They will come as digital downloads, individual CDs with expanded artwork and, the main draw, individual heavyweight vinyl records with a larger format of the expanded artwork. That box set will be CD-only, but will also feature the large format artwork and special packaging.